We use seasonal flowers to give you the best of what's available. White lilys, roses, chrysanthemum and carnations to name but a few give this bouquet a fresh and elegant look. 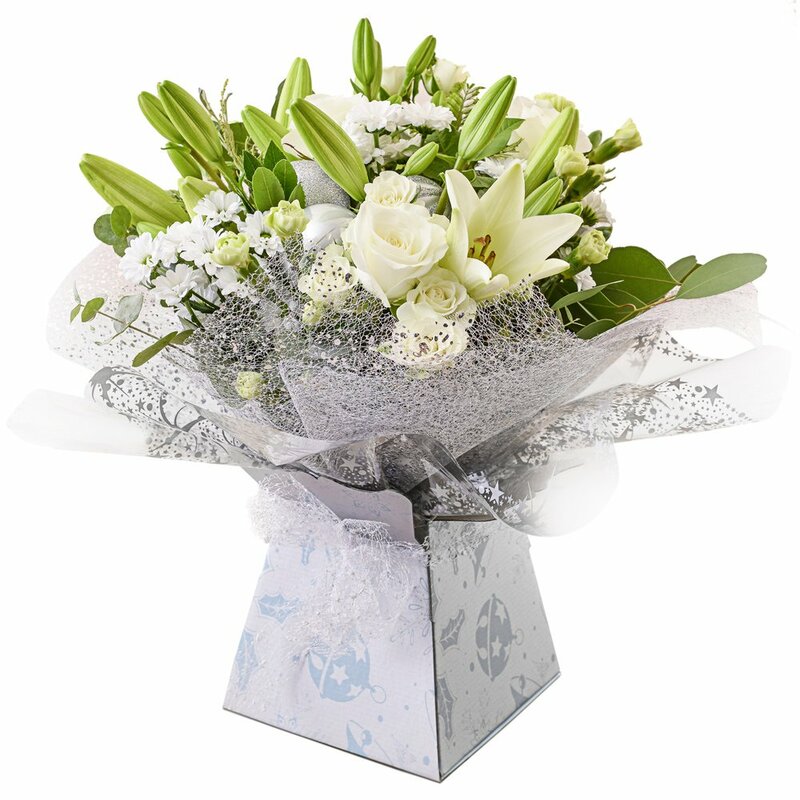 Wrapped in whites and creams and sent out in an aqua pack to keep the flowers hydrated.